Raffaele Fiore was born in Naples in 1961. From an early age he developed a deep love for painting, which inspired him to become the artist he is today. Recognising his extraordinary talent, his parents permitted him to study art at the Academy in Torino, where in the early 80s originality was the key word in the art world. 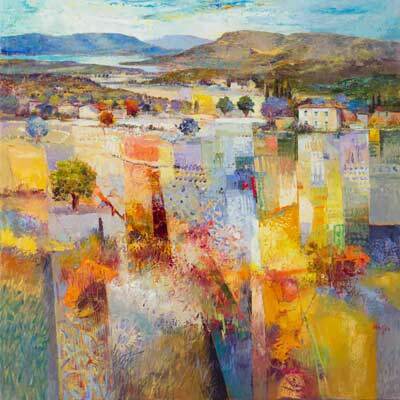 His first works were very traditional until he started to experiment with colours and created his own compositions. 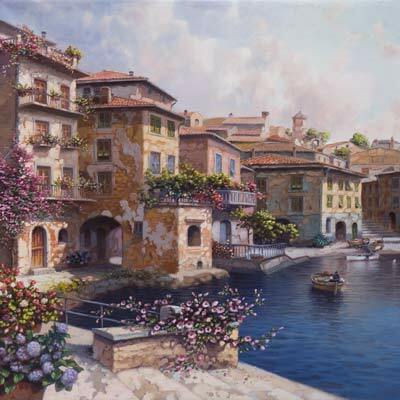 His favourite subjects are Venetian canal scenes and Tuscan landscapes. 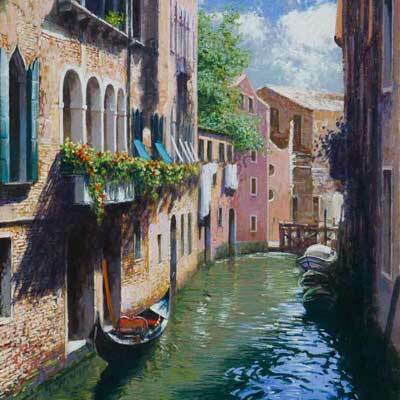 The sense of tension that emerges from the interaction of light and shadow affords his Venetian paintings a special quality allowing the viewer to embark on a journey through time. The fascinating aspect of this is the idea that his paintings allow an echo of reality beyond the flood of images in a world merely perceived through the media. Fiore grabs attention with vibrant colours and a sense for the intimate situation. 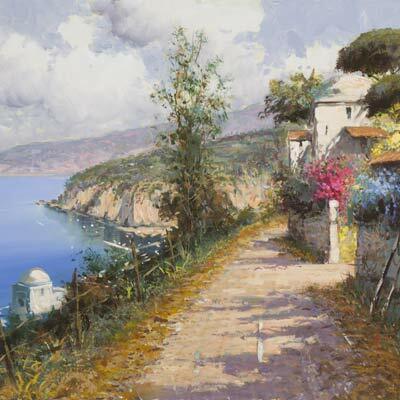 His accomplished use of light and shadows with the help of a perfect palette gives his paintings a unique feeling. 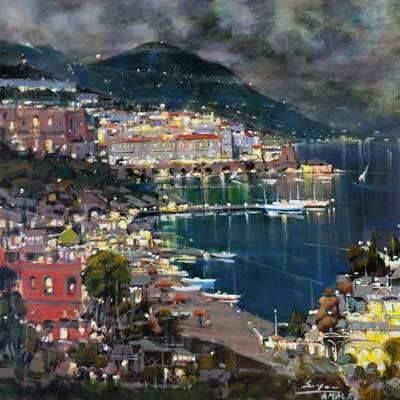 In his paintings Raffaele Fiore communicates joy, vitality and a romantic atmosphere in a direct and engaging manner.